UCL academics Dr Claire Colomb and Dr Florian Mussgnug have been appointed the first academic directors for the Cities partnerships Programme, a cross-UCL initiative that will support, fund and promote the work UCL academics carry out with partners in global cities. With the UK set to leave the European Union in 2019, the programme will start in Europe, investing in sustainable, multidisciplinary research and teaching partnerships. In an open recruitment process, candidates were invited to propose a city with which they have significant links, along with a relevant academic theme. Dr Florian Mussgnug has been appointed to launch the programme in 2019, following his strong application for Rome. He will lead the launch with support from a dedicated project team within UCL’s Global Engagement Office. The second city will be Paris, with activity to be led by Dr Claire Colomb of the Bartlett School of Planning. Commenting on his appointment, Florian said: “More than fifty years after the Treaty of Rome, the Italian capital remains a powerful symbol of European unity. But Rome has also come to be associated with new risks and challenges: the rise of populism in Europe, the need to re-think national sovereignty in an age of planetary connectedness; the political causes and consequences of involuntary migration or forced immobility, especially in the Mediterranean. The Cities partnerships Programme will consist of three main parts: seed funding for academic partnership; academic-led events that will engage audiences in and beyond academia; and complementary activity to support student mobility, engage alumni and prospective students. Each programme cycle will run for three years in each city. Work will begin in a new city every year, meaning that eventually three cycles will run concurrently in three different cities. In Rome, the programme will build on existing research collaborations with Roman partners, from areas as diverse as Archaeology, Art History and Modern Languages, Philosophy, Neuroscience and Electronic Engineering. In 2017-18, the UCL Rome Regional Partnership Fund facilitated five international conferences, three symposia, seven workshops, two week-long international summer schools, a piano concert and a photography exhibition. More than 100 academic speakers were invited, including 37 from UCL. 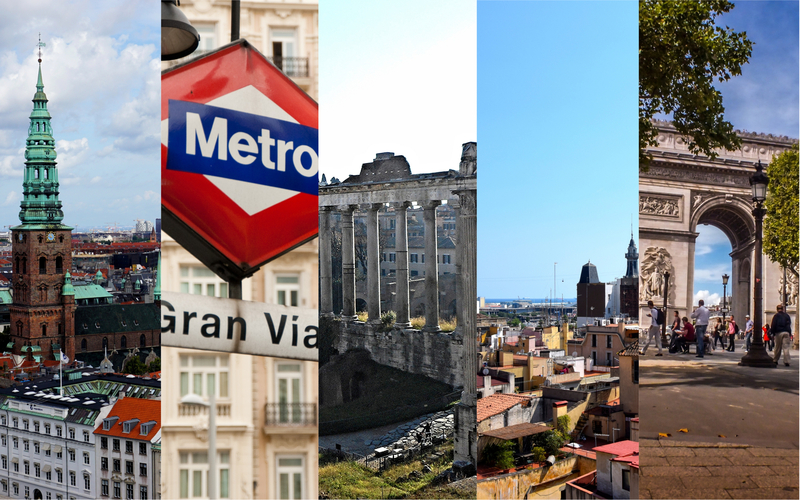 UCL academics will work with local partners to shape the programme in each city, exploring different themes and responding to the unique academic context and partner institutions’ contribution to their home city, as well as the culture and spirit of the city. It is also hoped that the programme will result in successful joint external funding bids, following the example set by existing global engagement seed-funding, which has leveraged £500k of internal funding into more than £12m of external funding to date. The seed funding will be overseen by the Academic Director for each cycle.